Volkswagen e-Golf Performance, Engine, Ride, Handling | What Car? Like any EV there’s a smooth rush of silent and powerful acceleration. In fact, it shoots to 62mph from a standing start as quickly as most diesel hatchbacks. In truth, it runs out of steam quite soon after that, but it’s perfect for nipping between lights in the city and will still cruise at 70mph without any issue. Pulling the gear selector down to ‘B’ gives you the same effect as engine braking in a conventional car, and also regenerates energy to recharge the battery. There are five driving modes in total, depending on the severity of braking you want, and how much energy you want to recuperate. If you really want to conserve energy, the optional heat pump is worth considering – it recovers warmth from the car’s systems to heat the interior. The standard driving mode is all you really need in most situations, but if range anxiety does start to kick in, selecting one of the economy modes limits power and top speed, and either restricts or completely turns off the air-conditioning, all to conserve battery juice. The e-Golf doesn't handle too differently from any other Golf. There's slightly more body lean through tight bends, but its steering is well weighted and gives you a good sense of what the front wheels are doing. It's certainly agile enough for you to have fun on tight city streets, and there's enough grip to make cross country drives entertaining – more so than a Nissan Leaf, which has significantly more body roll. Ride quality is also impressive. 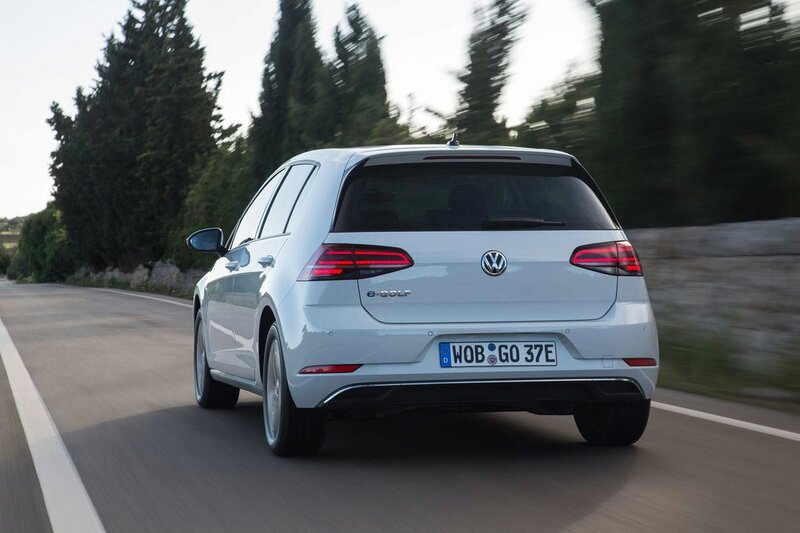 The e-Golf smoothes over broken roads at low speeds as well as any mainstream Golf, and is just as comfortable on the motorway, too. In fact it’s far more cosseting than the slightly jittery BMW i3. 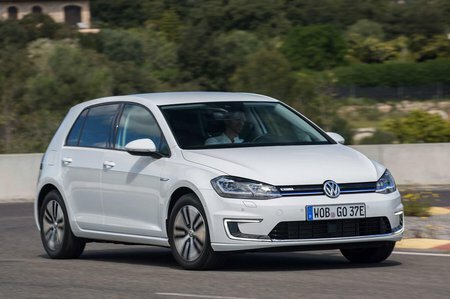 At speed, road and wind noise are also well hushed, making the e-Golf one of the most refined electric cars on sale. Add in the lack of a grumbly diesel or petrol engine – just the near-silent whir of the electric motor - and it’s a very peaceful drive indeed. The real-world range of around 125 miles is reasonably competitive for the class, although a Renault Zoe will get you even farther between charges, while the BMW i3 can be bought with a small petrol generator that boosts its range considerably.